Add the starter tea & SCOBY. Cover with a breathing-type-of-something. I use a good quality paper towel (one that handles getting a bit wet) and secure it with a rubber band. Is it really necessary to use both a scoby and starter tea? A kombucha troubleshooting question from the mailbag! So. Why do we need both? If the scoby contains all the microbes we need, why do we need to add starter tea? Instructions. Make kombucha SCOBY. 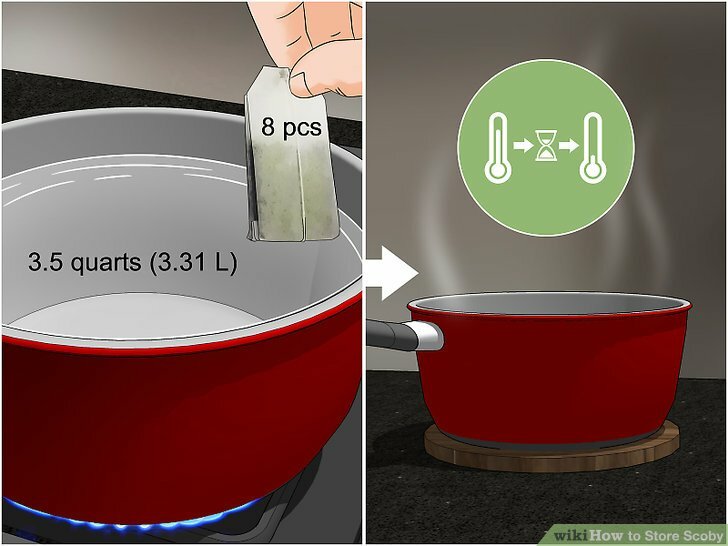 In a large pot, bring water to boil and turn off heat. Add tea and sugar, stir and let cool completely: place in a sink filled with cold water to speed things up, or let sit overnight. You combine the scoby with sweet tea; the scoby floats to the top and feeds on the sweetener in the tea for a few weeks until you've got a bubbly fermented beverage with beneficial acids and bacteria.